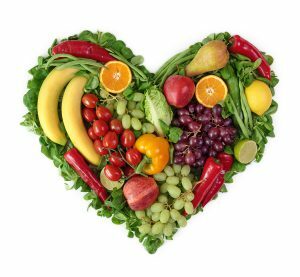 Eating Fruits and Veggies Can Make You Feel Happy! We have all heard eating fruits and vegetables are good for you, but did you know they can make you feel happy, not just healthy? In a recent study, researchers have determined that eating lots of fruits and vegetables can give you a better feeling of well-being. Click here to access the full article. numerous health benefits. They can help reduce your chance for many diseases, such as heart disease, cancer, stroke, obesity and type 2 diabetes. Fruits and vegetables are loaded with vitamins, minerals, and fiber. They are low in calories and can help you stay full longer, which helps keep you from snacking on those not-so-healthy foods. To learn more about the benefits of eating fruits and vegetables, click here. 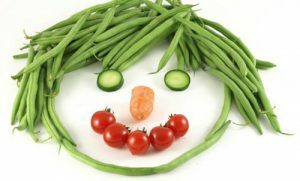 Now it seems that eating your veggies can also make you feel happier! Also, it seems the more veggies and fruits you add to your diet, the happier you will feel. So let’s all start eating our fruits and veggies at every meal, it will help us be healthier, and just maybe, we can make this world a happier place! 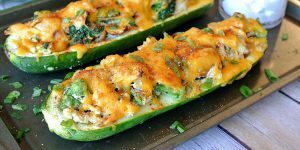 Here’s an delicious, easy recipe that’s loaded with veggies, protein and it’s low carb! Preheat the oven to 400F and cut the zucchini in half lengthwise. Using a spoon, scoop out most of the zucchini until you’re left with a shell. Brush 1 tsp of olive oil into each zucchini boat, season with salt/pepper and place them in the oven for about 20 minutes. While zucchini is cooking, shred your rotisserie chicken and measure out 6 oz. Cut up broccoli florets into small pieces, and combine both with sour cream. Season with salt and pepper. Once the zucchini is done, take them out and add your chicken and broccoli filling. Sprinkle cheddar cheese and bake for an additional 10-15 minutes or until the cheese is melted and browning. Garnish with chopped green onion and enjoy! Next PostNext How Bad Do You Want That Sweet Tea?